Ohio State suspended Urban Meyer on Wednesday for three games for mishandling domestic violence accusations, punishing one of the sport’s most prominent leaders for keeping an assistant on staff for several years after the coach’s wife accused him of abuse. COLUMBUS, Ohio – Amid withering criticism of his failing to more directly address domestic abuse issues at a news conference earlier this week, suspended coach Urban Meyer issued an apology Friday to the ex-wife of a former assistant coach who was suspected of abusing her. “Let me say here and now what I should have said on Wednesday: I sincerely apologize to Courtney Smith and her children for what they have gone through,” Meyer said in a statement he tweeted and university officials emailed. Zach Smith was arrested after he allegedly abused Courtney Smith in 2009 while working as a graduate assistant under Meyer at Florida. In 2015 Courtney Smith said her husband put his hands around her neck and shoved her against a wall. He wasn’t charged in either case. Zach Smith’s attorney said in a statement Wednesday that Meyer and athletic director Gene Smith were “collateral damage” from Courtney Smith’s desire to hurt her ex-husband. Meyer eventually acknowledged he was aware of the 2015 allegations, but didn’t fire Zach Smith until July 24 after Courtney Smith was granted a domestic protection order to protect her from her ex-husband. 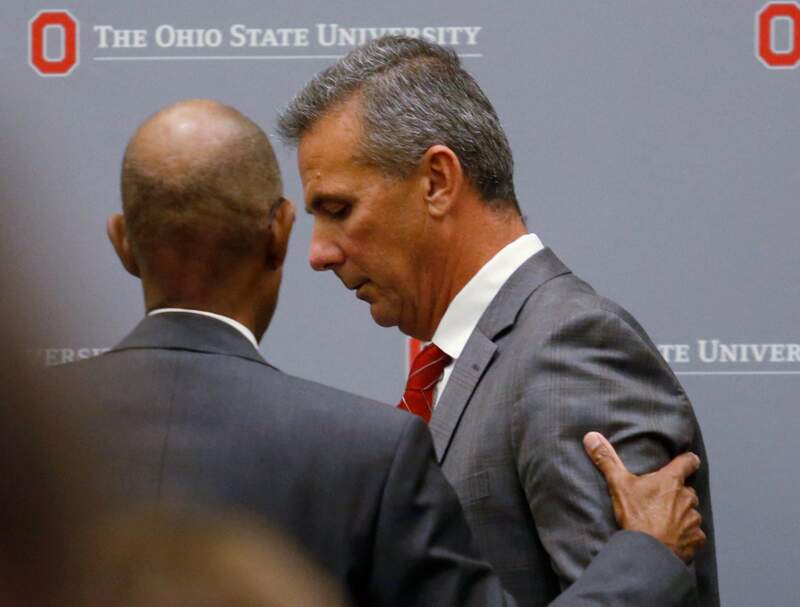 Because Smith wasn’t arrested for domestic violence in 2015, neither Meyer nor athletic director Gene Smith believed they were obligated to report it to university officials. Gene Smith was suspended for two weeks for his handling of the situation. “I have a message for everyone in this: I’m sorry we are in this situation,” he said.